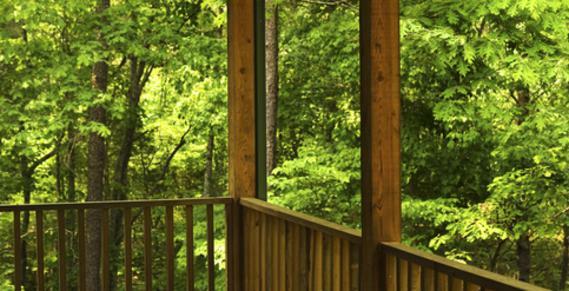 ​Reminiscent of a "Mini Big Thicket"
The Botanist Lodge was designed with Botanists in mind, and is located in a picturesque and tranquil forest environment that is Exclusive to You and Your Guests. Here you will find such plants as Jack-In-The-Pulpit and Arrow Leaf Indian Plantain and additional plants and trees, generally found only in the Big Thicket National Forest or on Preserved Land. Catch a glimpse of some of the most beautiful birds, woodpeckers, wood ducks and other unique species! Enjoy exploring the spring water creek that ripples over pebble stones and natural sand. Take a stroll on the quaint nature trails, and relax for a moment on trail swings surrounded by interesting trees and the beautiful sounds of nature. Pause, along the winding trails to read posted information about birds, plants, trees and wildlife. The Lodge Quarters are exceptionally charming and accommodating. Conveniently equipped with four separate external key entry bedrooms, two fully accommodating bathrooms that are conveniently adjoining the bedrooms. A modest dining room, and separate conference room that seats twelve, with an added podium, screen and projector for your convenience. Attached decks with chairs, and hammocks for relaxing evenings and serene mornings. In addition, tents are available to complete your nature experience. Explore, and enjoy the tranquility of nature!